Easter is in a few short weeks, and once again we're celebrating it with a houseful of teenagers. Now, in my experience, Easter is one of those holidays that you can find a plethora of printables and games and puzzles and, well, FUN stuff you can do with the kids. A quick Google search will bring up a treasure trove of Easter games for kids and adults, or even family Easter games. And remember Resurrection Eggs from your children's younger days? My kids loved them...and no matter how many times we'd do them over the course of Easter week, they were mesmerized. But once you move on to the tween and teen years, however, it can feel like all the fun becomes just a memory. It's not only harder and harder for everyone to find the time to spend at home, but it's also just as hard to grab their interest. 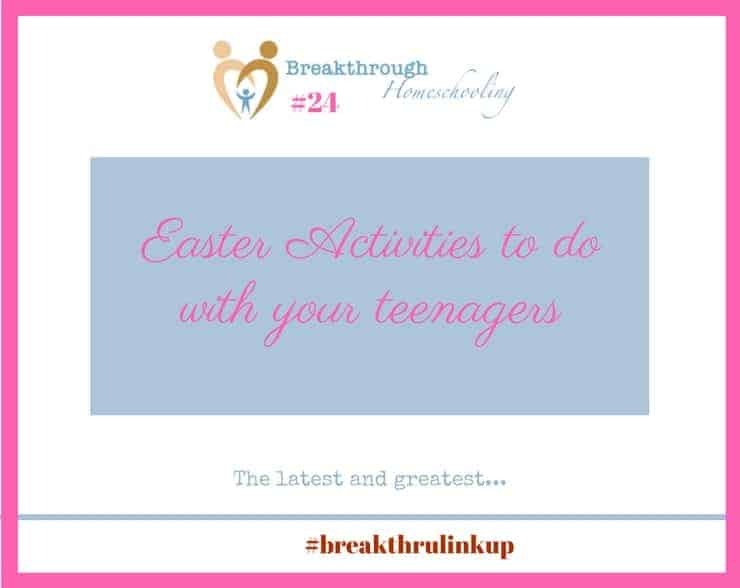 But don't despair: these Easter activities are just perfect to do with your teens! Nourishing My Scholar has a wonderful information-packed tutorial about natural Easter egg dyes. And even if your kiddos aren't into dying eggs, the "natural" aspect of it lends itself to science/health studies and gives a little real-life depth to the activity. Or investigate Easter traditions from your family's heritage. When my kids got to be tweens and teens, they were old enough to try the ornate and involved skill of Pysanki, or Ukrainian Easter egg dying. Involving concentrated dyes and hot wax, these are no pre-school craft! These art activities from HodgePodge are more older-kid oriented, too. The Easter Crown of Thorns chalk pastel is just lovely, as is the Easter cross chalk art project. I also loved Tricia's take on the Good Friday garden her family plants - what a terrific and meaningful family tradition! Who says teens don't need (or want) an Easter basket? Yes, filling them may be a tad trickier than in years past, but check out this list of 50+ things for your teenager's Easter basket (and they even have a list of 100+ if you're really stuck!). And this article "5 Ways to Help Teenagers Focus on Jesus Christ this Easter" offers a handful of simple ways to include your teens in a celebration of God's gift of salvation to us all. Yay - another freebie for you, dear reader 🙂 I put together a short devotional you can do with the family for Easter Week. It's 5 days' worth of Scripture and discussion that is sure to spark some relevant and soul-inspiring conversation. Download Beyond the Cross - An Easter Week Devotional here. 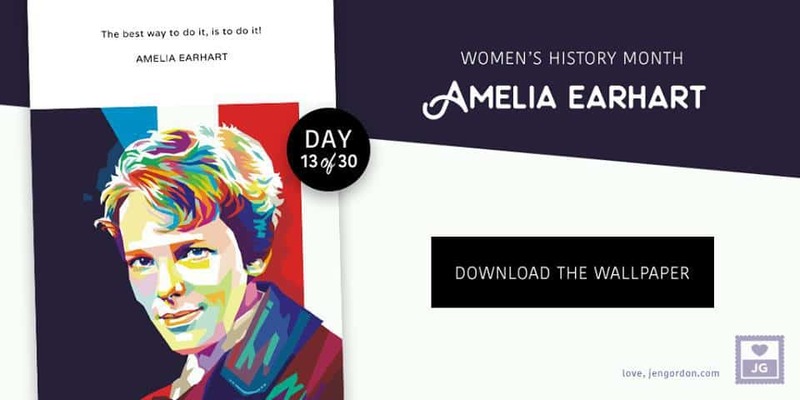 enter Jen's drawing (contest ends on March 16) to win a set of the brand new Women in History cards from The Hope Deck here. They make a great addition to a teen Easter basket and are a wonderful tool to supplement modern history studies or inspire a growing young woman in your life ;-)! 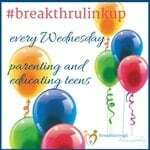 #breakthrulinkup 12 - Get ready for 2018! So thankful for the teen ideas for Easter.. I have been trying for 4 days to think of something to fill their baskets with and what to do now that the extended family has decided not to have Easter egg hunts for the kids. Oh, I know…those transition years are SO awkward! I remember the first year we didn’t have baskets for the kids, ’cause I thought they were “too old”… Ohmygosh, you’d have thought I was an Easter Scrooge! That’s when I started to look into more age-appropriate ideas, rather than just toss the baby with the bath water! You must have been reading my mind! These ideas are so helpful! Yay – I’d love to hear what your family decides on, Michele! 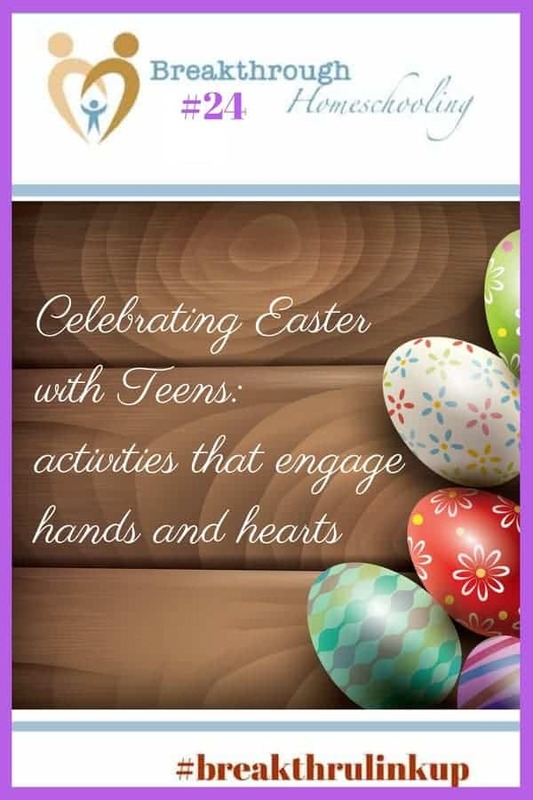 Thank you so much for hosting, AND for the Easter activities with teens links. These are so helpful!